Yet again, the Bubble Boy makes a fool of himself. That's our Bubble Boy. Elevated by his circle jerk -- CJR bloggers you are not missed nor are you forgotten -- Ezra Klein moved to THE WASHINGTON POST briefly. He contributed what there? He never contributes anything of value. He's an idiot. What does this man from Irvine have to offer? He's not smart. He's damn well not attractive. Did he serve in the military or in a war? Did he get a doctorate? Does he have some outstanding talent? Has he dedicated his life to public service? What did the White man do to qualify to be a spokesperson? Oh, right, he was born entitled. And that entitlement reeks and it's why he can claim that the US is not at war. He's not a liar, he's just an entitled brat who thinks every day is his bar mitzvah and a celebration of his manhood. Short changed forever, Ezra Klein. How do you get to be so stupid? Entitlement, yes. But also it helps to live in a bubble. He did the hideous JournList. And he's doing something similar today. You can see it in the ravings of various characters who were part of the original (yes, Paul Krugman, that includes you). On the ground, however, a senior source in Iraq's Hashd al-Shaabi (Popular Mobilisation) forces told Middle East Eye that coalition forces - mainly American, French and Canadian - were based in three adjacent military bases occupying an approximately four-square-kilometre area near the Anbar town of al-Baghdadi, 150km from the border, along with other operational bases closer to al-Qaim. "Al-Baghdadi is now one of the biggest US military bases in Iraq," he said, speaking on condition of anonymity. "It is three bases in one area heavily guarded by the Iraqi Army, and no other Iraqi forces can get near there." How do you miss that. By being entitled like Ezzie and residing in Sugar Town. I understand Ezzie had his mommy sew him the same outfit Nancy Sinatra wears and that he looks quite fetching prancing around in it. Ezra Klein is another wasted life. Not wasted talent, because he'd have to have talent and, sorry, Ezzie, partisanship doesn't make a star -- ask Karl Rove or . . . Well there's not many to ask because they all fade from memory as soon as they perish. They leave nothing that lasts. Propped up soley by ego, they come crashing down rather quickly. And the circle jerk that made them? They've moved on to others. That someone who is the editor of an alleged news outlet could publicly Tweet that the US was not at war goes a long, long way towards explaining not only how out of touch Ezzie is but also how unneeded he is. In Ezzie's world, there are no victims -- just chubby boys overpraised by pathetic parents who failed to instill ethics or meanings. She doesn't exist in Ezzie's world. Stay in Sugar Town, Klein, we don't need you in the real world. The US needs a new ambassador desperately. They have for some time. 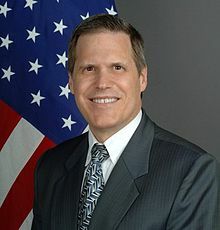 Douglas A. Silliman is the United States Ambassador to the Republic of Iraq. He arrived in Baghdad on September 1, 2016. He served as Ambassador to Kuwait from 2014 until July 2016. In 2013-2014, he served as a Senior Advisor in the Bureau of Near Eastern Affairs in the Department of State in Washington, D.C., working on Iraq issues and the U.S.-Africa Leaders Summit. He was Deputy Chief of Mission at the U.S. Embassy in Baghdad, Iraq from 2012 to 2013 and Minister Counselor for Political Affairs in Baghdad from 2011 to 2012. He was the Deputy Chief of Mission in Ankara, Turkey from 2008 to 2011. He joined the Department of State in 1984 and is a career member of Senior Foreign Service. So in Barack's eight years as president, there were six ambassadors to Iraq. Does that speak to stability? No, it doesn't. And it was amazing during all this that we stood alone calling it out. It's also appalling that we were also the only ones noting all the people he nominated for the post and how every one of the nominated was a man. 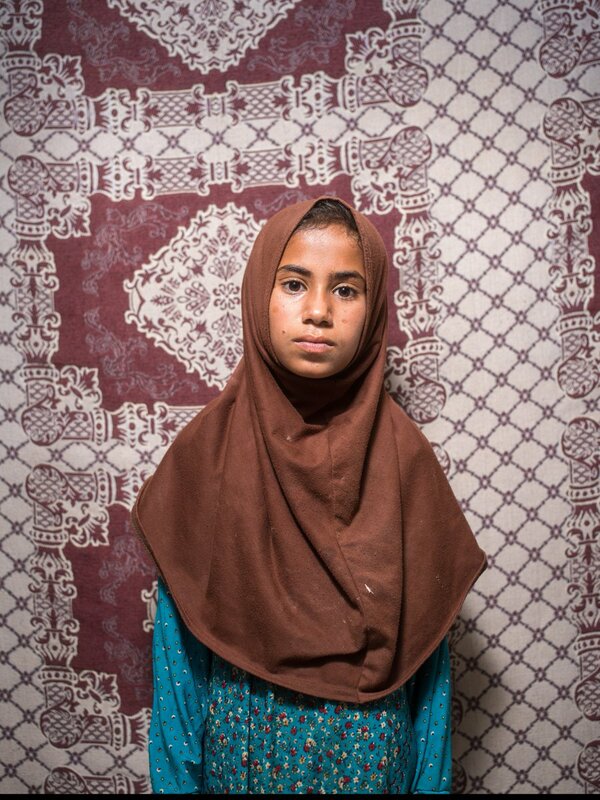 Iraqi women have suffered due to the Iraq War, the war the US-led and continues to lead. Their rights have been ripped up. A symbolic move of appointing a woman to the post could make a difference and other countries -- including Canada -- were willing to try. Not the US. Donald's no different than Barack, he's nominated a man. For his first term, he kept Silliman in place (we'll come back to Silliman), and now? He's nominated Matthew Tuellerman. Unless Trump withdraws the nomination, Tuellerman is the next ambassador to Iraq. I say that because he's breezed through the Senate confirmation period twice -- Kuwait and Yemen. Will he be good in the post? Good question. But Silliman has made the need for a new ambassador mandatory. Over the weekend, a non-story in many ways took place. Iraq slammed a Tweet. There are certainly more important stories. The only import for the story was going to be the fall out and the fall out is Silliman is out of a job. While he was US Ambassador to Iraq, the US Embassy did a Tweet. The Iraqi Foreign Ministry rejected on Saturday a statement issued by the US embassy in Baghdad in which it called on Tehran to “respect the sovereignty of the Iraqi government and permit the disarming, demobilisation, and reintegration” of Shia militias. The Iraqi ministry considered the US embassy’s remarks which were posted on Twitter, last week, as “interferences in its internal affairs”. The Iraqi foreign ministry reiterated the US embassy statement went well beyond diplomatic norms, adding that Baghdad expected the embassy to remove the post from its Twitter page. “Iraq looks forward to erase the statement by the US Embassy and to avoid issuing such statements in the future and to observe the rules of international law governing the embassy work in Iraq,” said the ministry. This is the Iraqi government's statement in full (and I've removed a typo -- there was an "a" in the first use of "Ministry"). The Foreign Ministry followed up the statement issued by the US Embassy in Baghdad regarding the effectiveness of the unilateral US sanctions against the neighbor of the Islamic Republic of Iran. The Ministry would like to point out that the second part of the said statement goes beyond diplomatic norms and mutual respect for the sovereignty of States as a well-established principle of international law. Iraq refuses the interference in its internal issues, especially the issues of internal security reform and the status of Iraqi security forces under the authority of the Prime Minister leader of Military Forces. Iraq looks forward to the deletion of the Embassy of those statements that are inconsistent with international norms and to avoid their recurrence in the future and to observe the rules of international law governing its work in Iraq as its host State. To read the full article from Iraqi Ministry of Foreign Affairs, click here. It was a major embarrassment. Silliman had to be replaced. As for Tueller? Coming from Yemen, considering US actions and enabling, he's probably going to turn out to be a big disappointment to those of us on the left -- but that will make him just like the all the ones who came before! The only one this qualifies as a smart move for is Donald Trump. Tueller will be confirmed and that will (a) look good for Trump, (b) make it look like Donald chose to work in a bipartisan fashion and (c) give the impression -- true or not -- that there are no real consequences of the election (the House flipping to the Democrats in Tuesday's election while the Senate remains controlled by the Republicans). Iraq. For a few hours, the US Senate will have to acknowledge the ongoing war. On the elections, a few people are asking why we didn't cover them? Iraq wasn't an issue. War wasn't an issue. The press ignored these realities. Jim Sciutto never asks about the war in any way that matters. When does it end? How does it end? How much more money will be spent on it? Instead, he wastes everyone's time with nonsense of: When are you going to visit the troops in Iraq!!!!! Barack visited once and only once as president and that never bothered Jim. The freshman class of the new Congress will boast the largest number of military veterans in nearly a decade, including a record number of former servicewomen, bolstering a corps of ex-military lawmakers that has been depleted in recent years. More than 150 military veterans ran as either Republicans or Democrats for the U.S. House of Representatives in Tuesday’s midterm election, at a time when the number of former servicemen and women in Congress is near a historic low as older members retire or have left for roles in the Trump Administration. Voters elected more than 75 veterans to Congress, said Seth Lynn, a former Marine who serves as executive director of the Veterans Campaign, which has tracked veterans campaigning for the U.S. House for the last decade. Of veterans who won their races, 16 will serve their first terms, outnumbering the freshman class of 14 veterans elected in 2016 and 12 in both 2014 and 2012. Of the 16 rookies, three were women, nearly doubling the number of female veterans already serving in the House and Senate. So 16 new veterans will serve in the Congress. Jody Watley. Today’s Musings 80’s In The Sand 2018. New Music and More. The mid-terms are over, now what?